“The Return of Cosmo Draper” now on Audible! Lee Ann’s latest role for The Online Stage is now for sale on Audible. 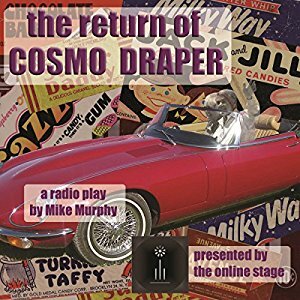 The Return of Cosmo Draper is a radio play by Mike Murphy. Lee Ann plays the ‘wife’ in this one. Dreaming of days of yore, Tim Porter organizes the return of Cosmo Draper, the town’s favorite mayor. Only trouble is, Cosmo’s been dead for years, right? To listen to a sample and/or purchase the play, head to Audible here. Posted by lahowlett on December 6, 2016 in Uncategorized and tagged Audible, audiobook, drama, Mike Murphy, radio play, The Online Stage, The Return of Cosmo Draper.